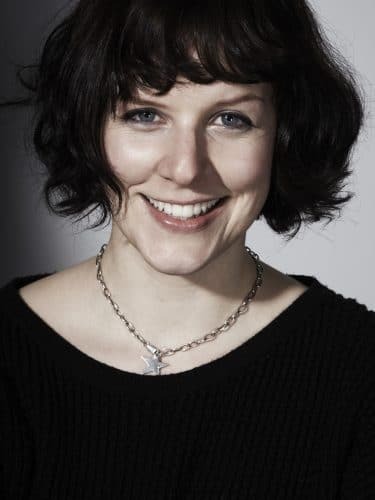 Welcome to the third of our guest blogs from the winner of Natural & Organic Beauty category at the New Generation Beauty Influencer Awards, Lou Dartford. For more information about the New Generation Beauty Influencer Awards click here. As the cold weather starts to take hold, our skin often pays the price. Now is the time to give it a helping hand and amp-up your skincare by choosing more nourishing, soothing formulations. If natural plant oils aren’t part of your routine then this is a great time to introduce one. Plant oils contain a whole host of goodness such as essential fatty acids, antioxidants and minerals that are food for our skin. The small molecular size also allows the oils to get right down into the skin where the nutrition is needed for things like cell regeneration. Unlike a lot of synthetic ingredients, our skin can recognise plant oils and knows how to metabolise and utilise the components contained within them. Therefore making them wonderful effective additions to our skincare. Oils are brilliant for dry and dehydrated skins, but they are also amazing for oily skins, which remember can become dehydrated too. Many people with oily skins have been conditioned into thinking that they must only use things that are oil-free. Mineral oil free yes – for sure – this does nothing for the skin. However stripping an oily skin of oil can actually end up with that skin producing even more oil, thus entering into a vicious circle of oiliness and dehydration. Using a plant-based oil on the other hand, can help to balance a skin’s oil production. Jojoba oil for example is so close to the make-up of our natural sebum, that if used the skin will feel comfortable and won’t need to over-produce oil. There are many different oils to choose from, and like all skincare, it isn’t one size fits all. Try and sample a few before you buy to see what works for you. There are also different ways you can incorporate them into your routine. Try one as the first step in your double cleanse; the oil will dissolve make-up and daily grime as well as helping to deep cleanse within your pores while conditioning skin too. 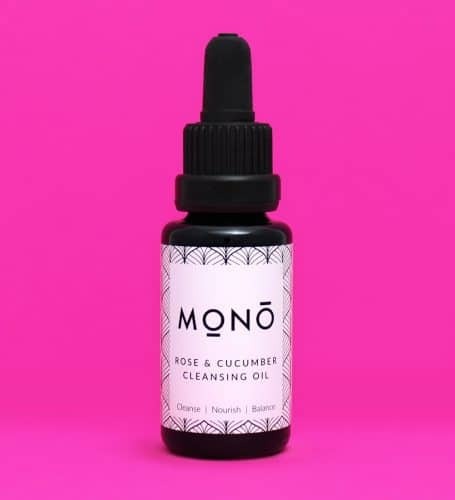 At the moment I really like Mono Rose and Cucumber Cleansing Oil, which is a gorgeous mix of different oils. Another way is to use it as a night-time treatment instead of your moisturiser, or as well as if your skin really needs a boost. Take the time to massage it into your skin to stimulate blood flow, which helps with a radiant complexion too. I also like to use an oil in the morning; mix it into your moisturiser to supercharge it if you don’t fancy an oil on its own under make-up. There really are some amazing oils to choose from. Some oils are fantastic on their own such as rosehip seed oil, but there are also beautiful blends that harness the power of a few oils giving your skin even more of a treat. Some of my favourites include Vanderoe, Skin and Tonic and Bodhi and Birch. When choosing look for organic, wild crafted and cold-pressed ingredients to ensure they still contain all the unadulterated goodness.